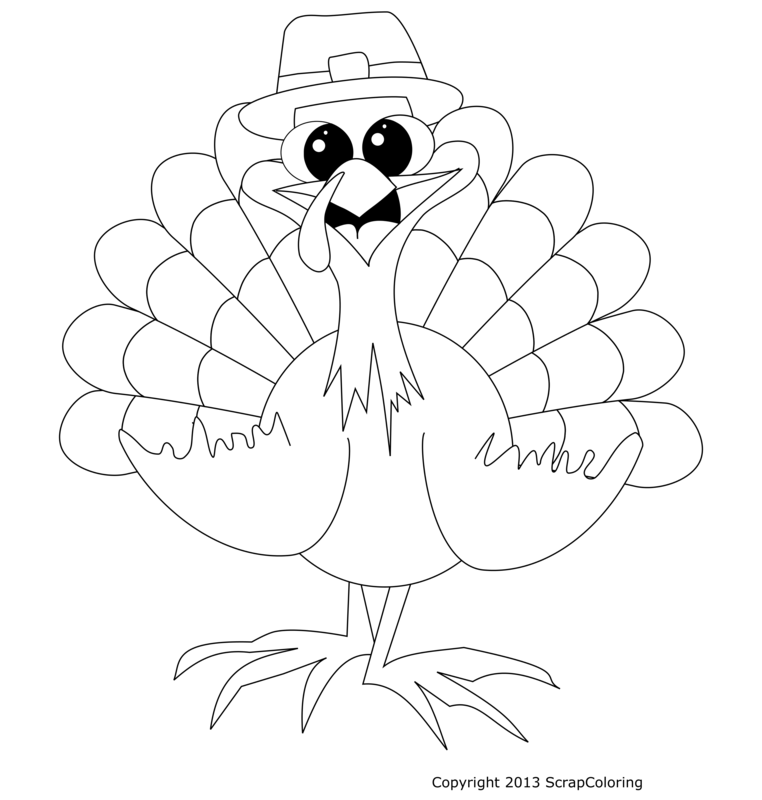 A coloring page of a turkey with a pilgrim hat to celebrate Thanksgiving! 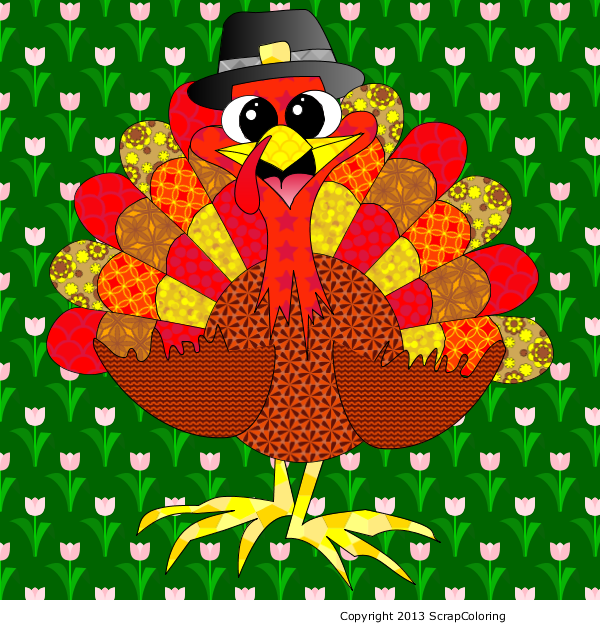 The turkey was drawn by Kris from the blog Au pays des piments for the Thanksgiving your way! recipe challenge on Very good recipes. How do you like it? If you do not see the online coloring page Thanksgiving Turkey in black and white above, you need to use another web browser: see the page Supported Browsers.